Throughout the past few years, we have repeatedly heard complaints from exhibitors about parties selling their products at eroFame without having a stand at the show. It is only understandable that exhibitors become frustrated when they see industry members offering their products without authorisation and without a stand. This kind of behaviour is unfair to the paying exhibitors, and it is in direct violation of our terms and conditions. 1. Only companies that have booked a stand at eroFame – and have received a written confirmation from the organisers – are considered authorised exhibitors. 2. Sub-leasing a stand to another company may be found admissive upon examination through the organisers; organiser authorisation is required, so make sure to send a written notification to: hlutz@mptoday.de. The organisers reserve the right to refuse authorisation for sub-leasing a stand. 3. Only authorised exhibitors of eroFame can bring suitcases, bags, etc. into the trade fair hall. If visitors of eroFame carry suitcases, bags, etc., those will be checked at the entrance; bringing products, samples, etc. into the fair hall is only and exclusively permitted to exhibitors. 4. Of course, it is possible to make appointments with producers for sample presentations at their stand. In such cases, the contact person is to notify the staff at the info stand about the appointment. The organisers will then inform the exhibitor, who needs to confirm the appointment. 6. If companies/company representatives present products at eroFame without authorisation, or if they are guilty of copyright infringements, the organisers will make use of their rights as stated in the terms and conditions, up to and including banning these individuals from the fairgrounds. 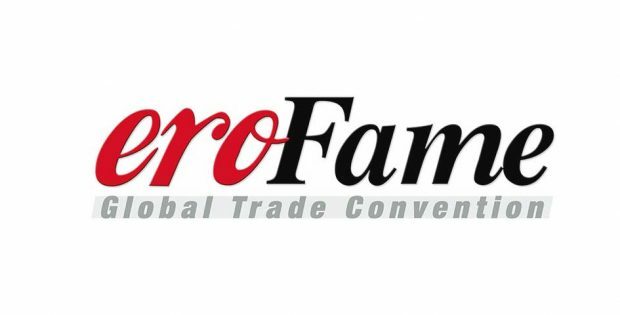 We have also been informed that companies, many of them from the Chinese market, send out newsletters in which they falsely claim to have a stand at eroFame, inviting the trade members to meet them at the show. We do not condone such practices and will do our best to put a stop to them. As a first step, we are going to send an ean/e-line newsletter to the trade members to inform and warn them of this type of misinformation. The above-mentioned steps are being taken in the interest of our industry and the exhibitors of eroFame. We ask your understanding and your help in implementing these measures. We hope you have a pleasant trip to Hanover and look forward to meeting you when eroFame 2018 opens its gates!